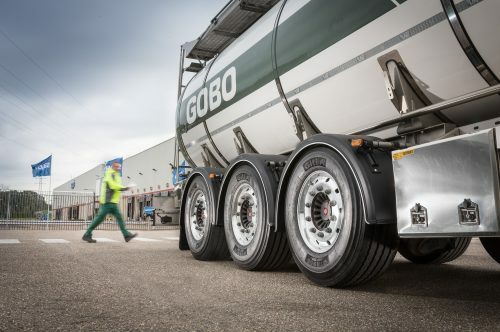 Giti has launched its new generation trailer tyre – the Giti GTR955 Combi Road – which delivers a mileage increase of around 30% against previous comparable products. The result, which was concluded following a four-year design and test period on several different fleet types across various diverse sectors, has been achieved through enhancing the tyre profile, advanced belt construction and a newly developed tread compound. Other key developments see rolling resistance improve by approximately 10% and better wet braking, both of which result in B labelling. The design and manufacturing developments also result in an important increase in retreadability properties. The tyre is now available in 385/65R22.5 164K and 385/55R22.5 160K. Both sizes are three-peak mountain snowflake (3PMSF) marked to indicate excellent winter and all-season traction and braking properties. Specially developed in cooperation with Giti’s European R&D Centre in Hannover, Germany, the Giti GTR955 Combi Road is manufactured at the company state-of-the-art facility in Jakarta, Indonesia. Tony McHugh, TBR Sales and Marketing Director UK at Giti Tire, said: “Trailer tyres make up 35% of the European truck tyre market, and it is imperative we have a product which is comparable against the very best in the sector. “We will actively be targeting original equipment trailer manufacturers as well as the aftermarket with this tyre, having concluded the excellent price-per-mile (ppm) achievable.